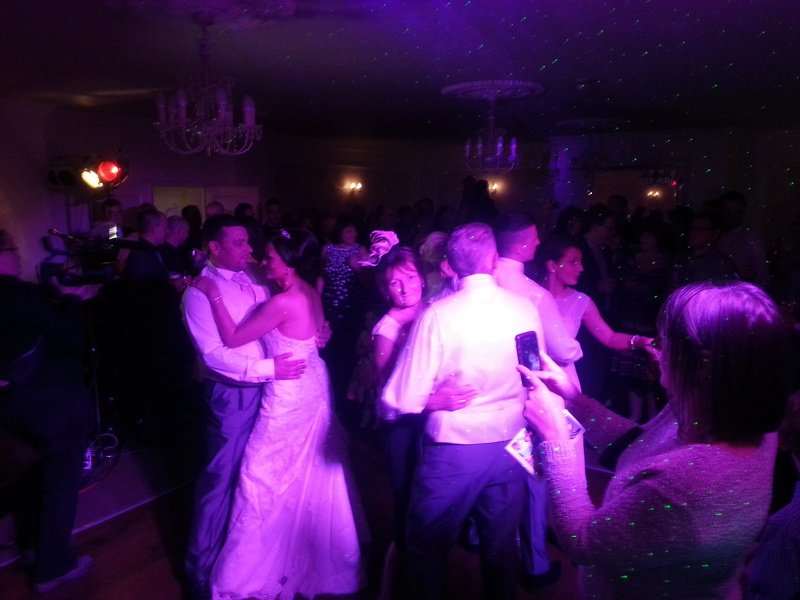 26th April ’14 – Hired as wedding DJ for Mr & Mrs Morley’s big day at Singleton Lodge near Poulton. Fab little country house hotel for wedding parties. 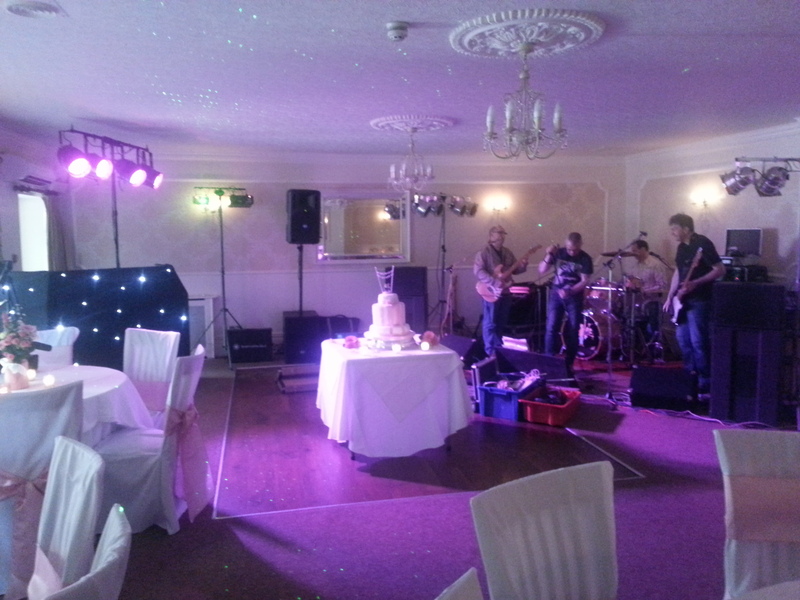 As well as my mobile DJ services, they had also booked ‘Frequency’, a 4 pc rock n pop covers band, who did a great job at keeping the party going. Me & the band figuring out how to set up! Just before we go away today I wanted to say a massive THANK YOU! You were so professional at our wedding and we were lucky to have such a great DJ like you. 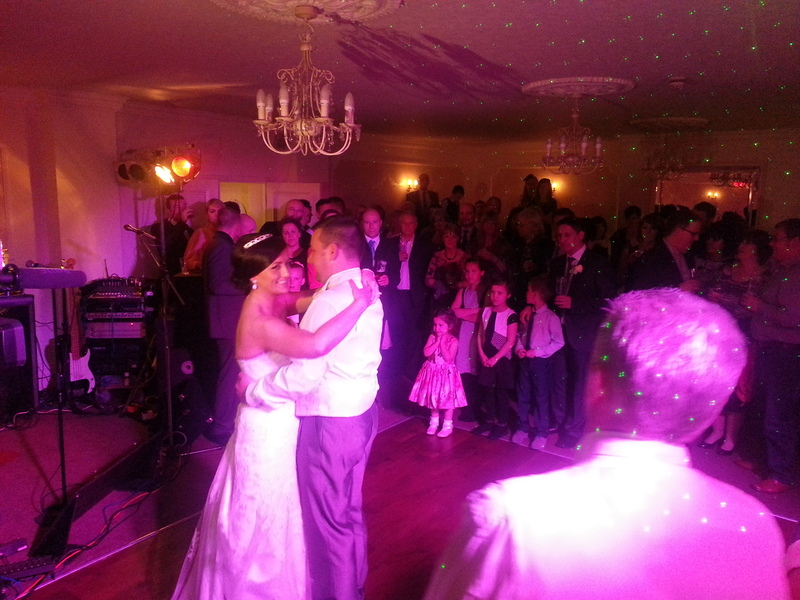 From when I first contacted you I found you to be very friendly and we will be recommending you to everyone.